Fans of the popular show MTV Shuga: Down South will be seeing a gorgeous new face entering the series - and he's one that you already know. Mohale Motaung, Somizi's fiancé, will be playing the role of Odirile, who is an openly gay man, Channel24 reports. His role will be used to shed light on issues such as HIV and even abuse in relationships. For those of you who haven't heard about the show, it has been described as "Set against the clubs, bars and student hangouts of South Africa, MTV Shuga relates a bitter-sweet tale of love, betrayal, relationships and heartache," according to its Facebook page. He has said in a statement that he is happy to be able to use his role to educate the youth who may not be as fortunate as him to be comfortable with himself and open about his sexuality. 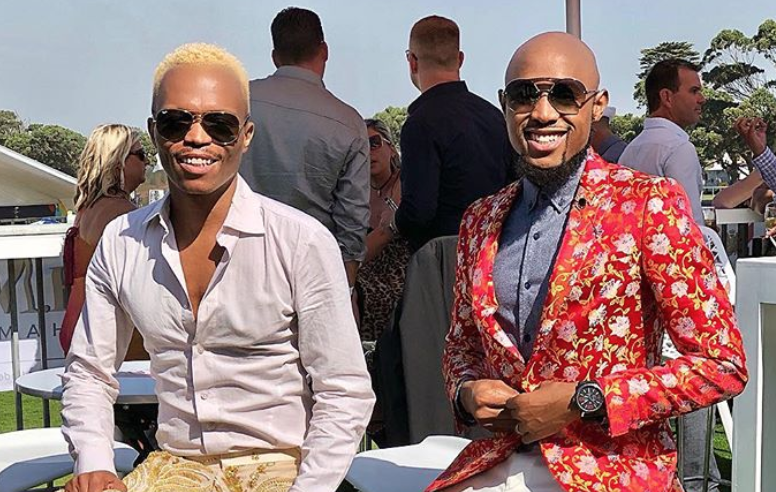 READ: Is Somizi planning a wedding 'extravaganza'? "As an openly-gay man, I’m fortunate to have the support of my family and my fiancé, Somizi, but not all South African youth, especially those growing up in conservative and traditional households, experience the same level of acceptance. That’s why programmes like MTV Shuga play such a crucial role in informing the youth and helping them realise they are not alone,” he said. The second season of the show is set to hit screens on 12 February 2019.